The following constitution and bylaws establish a framework for our fellowship and ministry together as a church. The name of this church shall be The Orchard. It is incorporated as a non-profit corporation under the laws of the State of California. 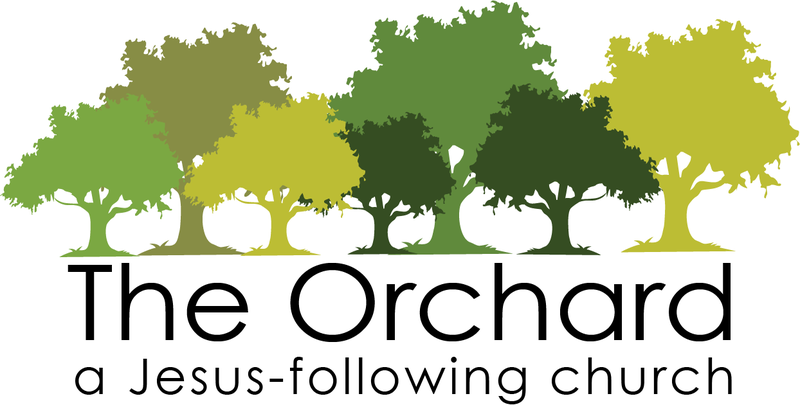 The Orchard is an autonomous congregation in association and fellowship with the Evangelical Free Church of America and the Western District of the EFCA. We accept and affirm the Statement of Faith of the Evangelical Free Church of America, and any expression of the church’s beliefs must be in harmony with the EFCA Statement of Faith. Before anything else, we are worshipers of God, disciples of Jesus Christ, and are to love Him with all of our hearts, souls, strength and minds (Matthew 22:36-38; Luke 10:25-28). 1. evangelism, sharing our faith with those who don’t yet know Christ. While we may utilize outreach events and similar methods, we primarily pursue evangelism through our own personal relationships with unbelievers. 2. spiritual growth and maturity, fostering a culture of ongoing discipleship. We will strive to provide opportunities for people of every age group and every level of spiritual maturity to continually deepen their spiritual life. 3. service, by instilling an expectation of, and providing opportunities for, every member to use their spiritual gifts as part of the ministry of the body. We will also provide regular equipping and training in ministry and leadership (Ephesians 4:11-16; 1 Corinthians 12:14-27). A. The Orchard is Christ-ruled, pastor-led and congregation-affirmed. We welcome the involvement of the church family in affirming the leadership of the church pastors and in reaching consensus regarding significant church decisions, but the local church is not a democracy. We do not hold elections; we seek a spiritual, biblically-informed consensus through the unity and wisdom of the Spirit. 1. be committed to Jesus Christ as your Lord and Savior. 2. be submitted to the authority of Scripture. 3. be committed to The Orchard as your church family. C. Regular opportunities will be provided for new attenders to learn about the church’s principles and commitments, and to share with the pastors about their faith in Christ, their submission to the Bible and their desire to be part of The Orchard. Only committed members may serve in teaching or leadership roles. D. The church membership is to be a living reality, reflecting the actual members of the church body, and not merely an administrative or legal record. Each member will be invited to reaffirm their membership prior to participating in any congregational meeting. Only currently active participants in the life of the church will be considered church members. E. Participation as a church member constitutes acceptance of and adherence to the church’s constitution and bylaws. 1. The pastors constitute the governing body of The Orchard, and will fulfill all state requirements for a non-profit corporate board. 2. The office of pastor is understood to be synonymous with that of elder, overseer or bishop (Acts 20:28, 1 Peter 5:1-4). 3. The pastors will strive to ensure that no less than three pastors serve at all times. 4. The pastors are responsible for recognizing those whom the Holy Spirit is making overseers or elders (i.e. pastors) of the church (Acts 20:28), and for providing them with opportunities for training and service. 5. All pastors must meet the scriptural qualifications, particularly 1 Timothy 3:1-7 and Titus 1:6-9. 6. All pastors must affirm without exception the Statement of Faith of the Evangelical Free Church of America. 7. Potential pastors must meet with the pastors for a trial period of not less than six months. This time may be extended at the discretion of the pastors. 8. Pastoral candidates must be announced to the congregation. The church body must have adequate time to prayerfully consider the candidate. Each pastor must be affirmed by the body before being appointed. 9. Pastors serve continuously, until they resign or are relieved of their position by the other pastors. 10. Each pastor must be evaluated by fellow pastors at least once a year, and the pastoral team must be reaffirmed annually by the gathered congregation. 11. The pastors are responsible for all aspects of the hiring and termination of all church staff-members. Remuneration of staff-members is at the discretion of the pastors and may be altered accordingly (1 Timothy 5:17-18). 12. The pastors will formulate, with the input of other leaders and members of the church, supplemental church policies and positions as needed. 13. All pastors must participate in the discussions and decisions of the pastoral team. The pastors must reach a strong consensus before proceeding with any particular course of action, and will strive for unanimous agreement on every issue. 1. The pastors will appoint ministry leaders as needed. Ministry leaders will oversee specific areas of ministry (Acts 6:1-7). 2. The office of ministry leader is understood to be synonymous with that of deacon (Acts 6:1-7; 1 Timothy 3:8-13; Philippians 1:1). 3. Ministry leaders must meet the scriptural qualifications, particularly 1 Timothy 3:8-13. 4. Ministry leaders will report to and advise the pastors concerning their areas of ministry, but are without authority to govern the church. 5. Ministry leaders serve at the discretion of the pastors and may be relieved of their position at any time if deemed necessary by the pastors. 1. The pastors will periodically share with the rest of the church body regarding significant decisions being considered and will seek the input and counsel of the church family. a. the pastors to report to the body on the state of the church and to share any significant developments. b. the church members to ask questions and offer input and counsel. c. the opportunity for the church body to affirm the leadership of the pastoral team. d. the pastors to lead the church family in reaching consensus regarding significant church decisions, such as: the appointment of new pastors; the purchase, sale or transfer of church property; and changes to the church constitution and bylaws. 1. The church has the responsibility to counsel and discipline Christian brothers and sisters when necessary, under the leadership of the pastors (1 Corinthians 5:1-13). 2. Church discipline must be carried out according to scriptural guidelines (Matthew 18:15-17). 3. The goal of church discipline is always both the protection of the church and the repentance, healing and restoration of the individual. 1. The pastors have the responsibility to counsel and discipline church leaders when necessary. 2. The discipline of church leaders must be carried out according to scriptural guidelines (1 Timothy 5:19-22). 3. Serving as a pastor or ministry leader of The Orchard constitutes agreement to submit to counsel and discipline by the pastors when deemed necessary by the pastors. 4. The discipline of a church leader may include, but is not limited to: required counseling, personal or public rebuke, temporary or permanent relieving of ministry position, termination of employment, and disassociation from church body. 5. The goal of the discipline of a church leader is always both the protection of the church body and the repentance, healing, restoration to fellowship and—if appropriate—restoration to ministry of the church leader. A. The church constitution, bylaws and church budget must always be readily available. B. The pastors will revise the constitution and bylaws as needed. C. Proposed revisions to the constitution and bylaws must be provided to the congregation. Any changes to the constitution and bylaws must be affirmed by a consensus of the gathered church members. Last revised June 5, 2016.